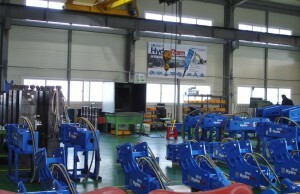 We understand that you may have questions about hydraulic breakers for your specific brand and model excavator. Our in house advisors will help you choose the correct size hydraulic hammer to work efficiently on your specific brand of excavator, no matter which model excavator you own. Our Hydro Ram brand breakers are working efficiently and successfully around the world on all makes/models of excavators. Do you have specific questions about the proper size attachment for your machine? We are available to assist you by telephone or email 365 days a year. Please call us today at 1-888-651-0187.